Rotel RKB 8100 Distribution Power Amplifier Power output capability at 8 x 100 Watts. RKB 81..
Rotel RKB 850 Distribution Power Amplifier Power output capability at 8 x 50 Watts. RKB 850 ..
Rotel RKB D8100 Distribution Power Amplifier Power output capability at 8 x 100 Watts with Digi..
Rotel RKB D850 Distribution Power Amplifier Power output capability at 8 x 50 Watt with Digital..
Dali Phantom E-50 Round Install Speaker Phantom E-50 ..
Dali Phantom E-60 Back Box Back Box Phantom E-60 Back Box ..
Dali Phantom E-60 Round Install Speaker Phantom E-60 ..
Dali Phantom E-60 Precon Bracket Phantom E-60 Precon. 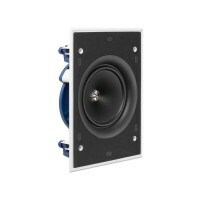 Bracket Phantom E-60 ..
Dali Phantom E-80 It’s all about big sound. Phantom E-80 ..
Dali Phantom H120 Install Speaker The PHANTOM H-120 has an unprecedented 12” woofer..
Dali Phantom H50 Install Speaker The compact PHANTOM H-50 delivers impressive clarity, an..
Dali Phantom H60 Install Speaker The PHANTOM H-60 in-wall speaker delivers the perfect ba..
Dali Phantom H80 Install Speaker The PHANTOM H-80 is the speaker you choose, when large, ..
Dali Phantom Helicon With the DALI PHANTOM HELICON IW 200 you get the same sonic quality as fro..
Dali Phantom Ikon DALI PHANTOM IKON is the road to great sound and nice décor, and the P..